I was introduced to Personal Summer Comfort by my sister. I was telling her how tired I was going through these hot flashes. She said she have never experienced hot flashes before. She said “maybe it’s because I’ve been taking this product called Personal Summer Comfort. My sister said to me ‘I’ve been taking it (Personal Summer Comfort) for nine years for my hair’. I’ve heard that other women who have been taking this product for their hair, who were also experiencing hot flashes said they don’t have them anymore. Maybe you should try it and see if it will work for you”. So I did. I’ve started taking Personal Summer Comfort a week ago. I’ve noticed a change in the hot flashes three days after I started taking it. Other national brand products I’ve tried, they said it would work in thirty days with a thirty-day money back guarantee. I called the company after thirty days to let them know that their product didn’t work, that it made the hot flashes worst, that I started having night sweats, day sweats, afternoon sweats, sweats, sweats, sweats. It became so bad that I had to get up in the middle of the night or very early in the morning (2:00 am) to take a shower than put on another set of clean bedclothes. There were times when I had to take a shower three times a day. I found myself washing my laundry four days out of a week. I mentioned these situations to one of the sales rep. and asked for a refund. She said she couldn’t give me a refund because it takes sixty days for the product to get into my systems and that I was the perfect candidate for their product that it gets worst before it gets better. I let her know that their advertisement was misleading. How is it that there’s a thirty-day money back guarantee, but it takes sixty days to get in your system. I than asked to speak to her manager. I told the manager the same thing I told the rep. The manager said the same nonsense the rep. said. To make a long story short, I received my money back. I’ve tried other products, such as Black Cohosh which worked for a short period of time. Someone else that I know told me about national brand name product, which I started taking, and to my surprise it worked, than the company changed it by adding additional Soy which made me very sick. I had to stop taking this national brand name product. Since I’ve been taking Personal Summer Comfort, in 3-5 days I am now wearing pajamas to bed again instead of summer pj’s. I can now wear the appropriate clothing according to the weather. I can now press my hair again and throw these wigs in the corner somewhere. When taking Personal Summer Comfort you’ll experience a good overall body experience. I’ve been telling everyone that I know who is having hot flashes about Personal Summer Comfort, for it’s truly a secret to tell. The Amazing “M” Word…. Menopause! 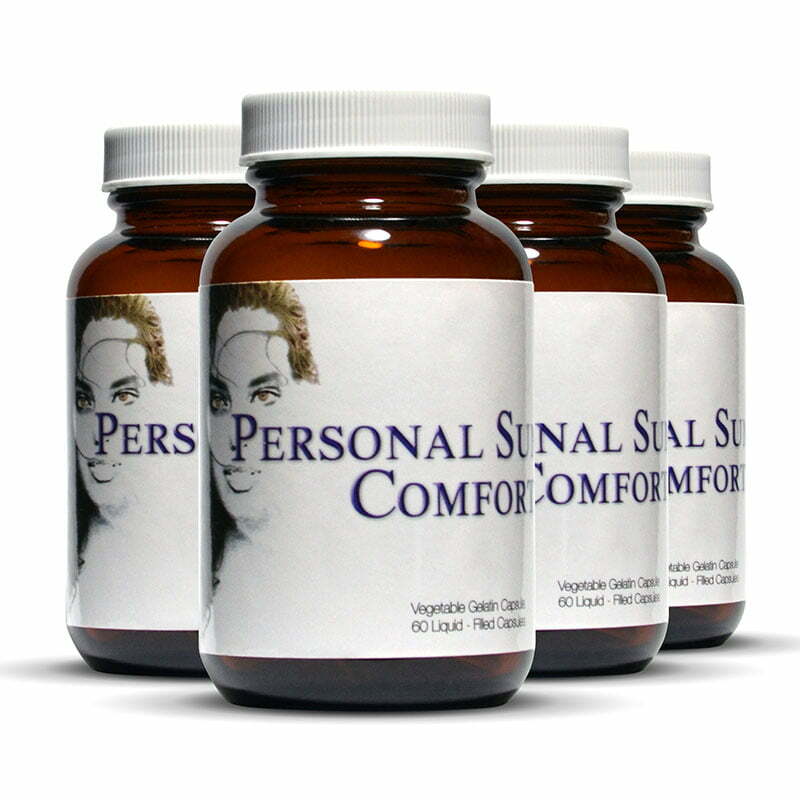 Women can cure hot flashes and chronic pain with Personal Summer Comfort natural supplements.